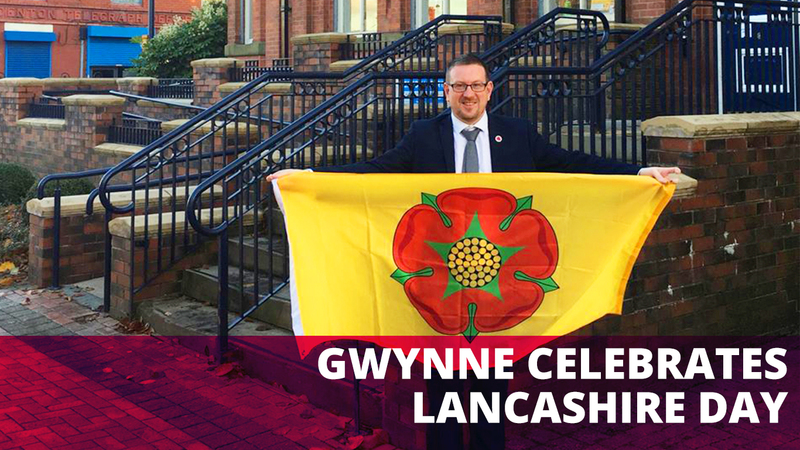 Denton and Reddish MP Andrew Gwynne has joined with Members of Parliament from across the historic County Palatine (and the modern-day Duchy) of Lancaster, to celebrate the 27th November as Lancashire Day. The 27th November is an important date. On this day in 1295 the first elected representatives from Lancashire were called to Westminster by King Edward I to attend what later became known as “The Model Parliament”. Know ye that this day, November 27th in the year of our Lord Two Thousand and Seventeen, the 65th year of the reign of Her Majesty Queen Elizabeth II, Duke of Lancaster, is Lancashire Day.